Kentucky soybean farmers are struggling with uncertainty and loss of income because of tariffs imposed by China, in retaliation for President Donald Trump’s tariffs on Chinese products coming into the U.S. The impact of the escalating trade war between the U.S. and China began reverberating on Kentucky soybean farms about three months ago. The uncertainty hit the soybean market even before China’s 25 percent tariff on U.S. soybeans went into effect in July. Jed Clark is vice chairman of the Kentucky Soybean Board. He farms 1,100 acres of soybeans in Graves County and said he’s seen the value of his crop decrease in the past few months because of the Chinese tariffs. For example, if Clark raised 40,000 bushels of soybeans, the value of his crop would have gone down $40,000, if he had to sell. Clark said some Kentucky soybean farmers are in a ‘wait-and-see’ mode. About 60 percent of U.S. soybeans are exported to China. Some trade experts predict that market could be lost for the long-term unless the tariff issue is resolved and the trusted trade relationship built over decades is restored. Other countries, like Brazil, could begin to fill China's requirements for soybeans. In addition to the impact of the tariffs, Clark said Kentucky farmers have already been under financial strain because of overproduction and a decrease in farm revenues over the past five years. Migrant workers who come to Kentucky under the H2A visa program are a critical part of the agricultural workforce. The Bluegrass State ranks seventh among the 50 states for the number farm workers who come under this visa, according to the Office of Foreign Labor Certification. Phil and Jan Holliday's farm in Logan County has two workers from Mexico who have been coming for more than two decades, and they’re bringing the next generation. The rows of green tobacco stretch to the horizon under a clear blue Kentucky sky. It’s midday and it’s hot – around 90 degrees. 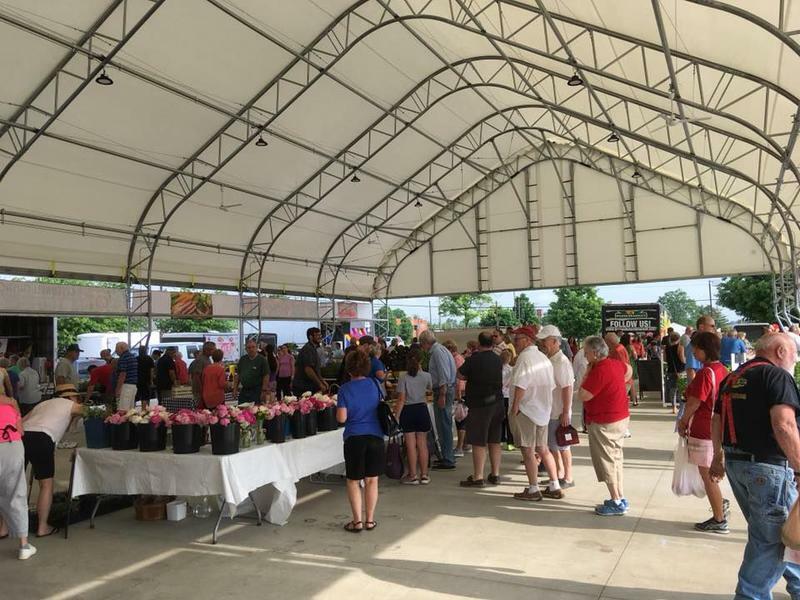 The new permanent structure for the Owensboro Regional Farmers Market this season is drawing more vendors and more shoppers than last year. The market has a permanent fabric roof and a rustic-style entrance building with restrooms and a small service kitchen. Vice president of the farmers market Bruce Kunze said there are 40 vendors this year, up from 32 last year.